Marimex process viscometers are perfect for use in continuous and batch operations. Ideally the sensor should be installed in a location where the process can still be accessed. However, it is possible to mount the sensor in any position. 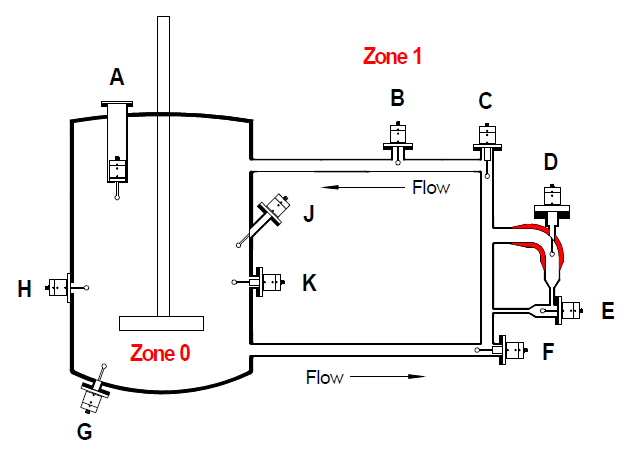 The requirements of the application determine whether the sensor is installed in a pipe, tank or reactor rather than any other considerations. Viscosity measurements are therefore performed efficiently and the user can regulate, control and monitor the process to achieve the best possible results. The inline viscometer can be put into operation rapidly due to its time-saving installation procedure and user-friendly operation.